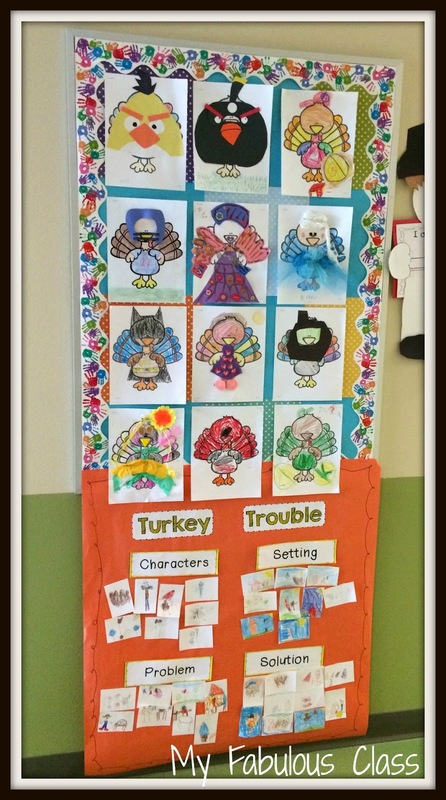 This week, we read one of my FAVORITE Thanksgiving books, Turkey Trouble by Wendi Silvano. I LOVED how this anchor retell chart came out!!! We talked about each part one at a time and the kids went back to their desks to draw the pictures. The pictures came out so cute! This book is perfect for talking about problem and solution. 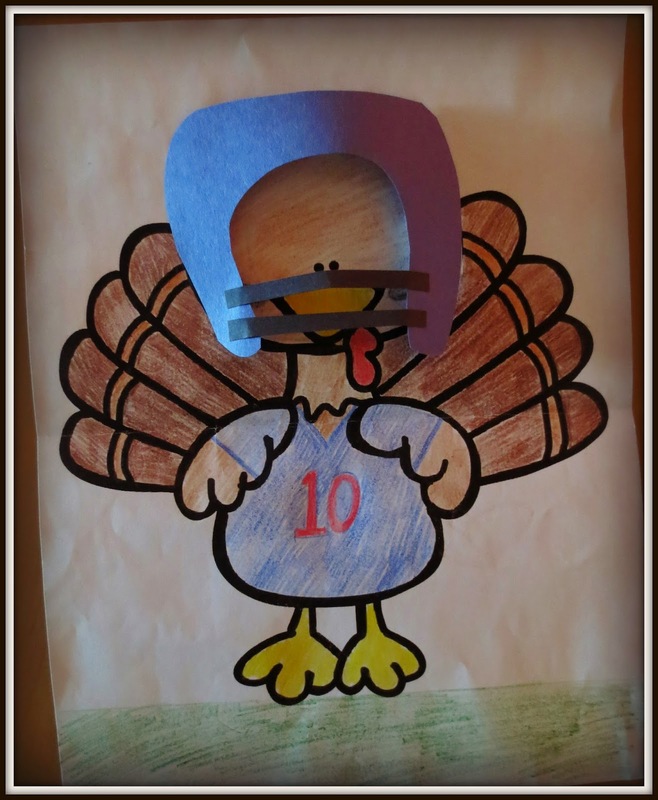 I sent home turkeys for the kids to hide. How CUTE is this football player and the Elsa??? My daughter wants to make an Elsa this weekend. You can find all of this in my Hide That Turkey unit. 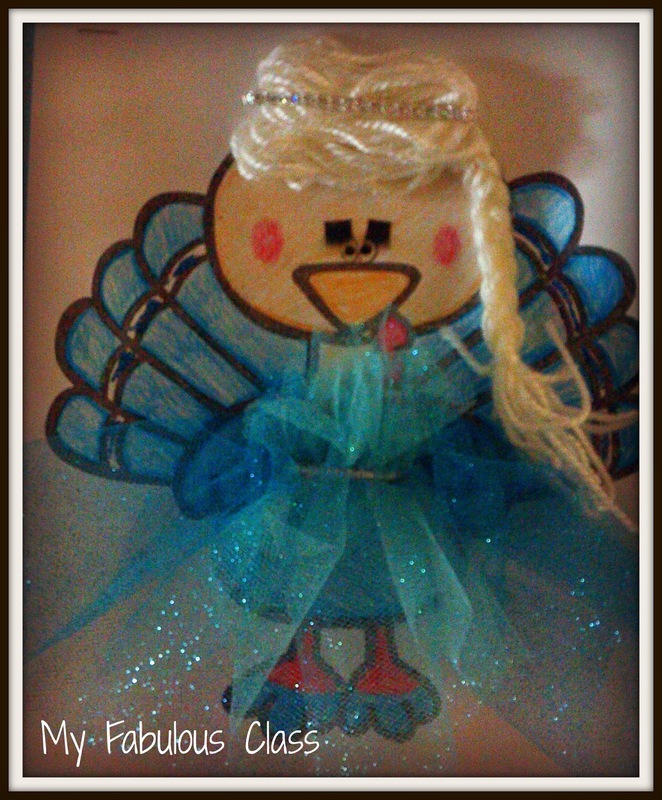 There are also activities for Turkey Claus by Wendi Silvano. As we have been learning about Thanksgiving, we have been talking about what life was like in the Past and what life is like now. We did a picture sort and then we have done two little books. We used the top book during our Guided Reading Group. 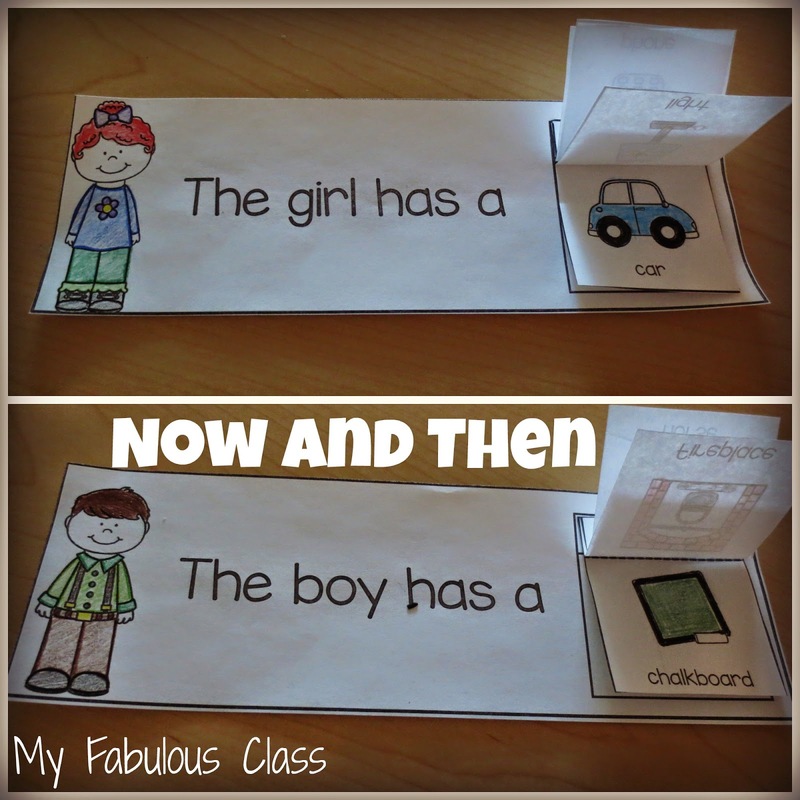 We made the flip books in a small group with a parent. 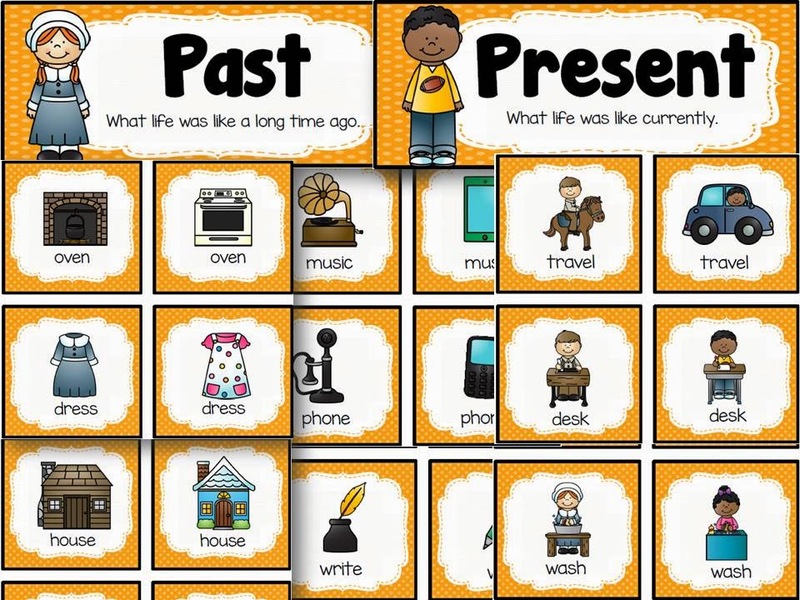 You can find these activities in my Past and Present Mini Unit. You can click HERE to see the rest of my Thanksgiving Units. 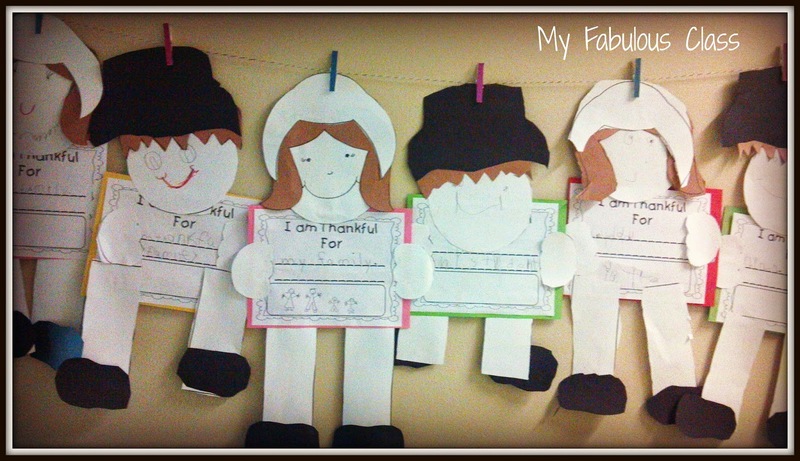 You can check out my Gobble, Gobble Pinterest board for more ideas and freebies. I found these FREE adorable pilgrims on pinterest. They are from First Grade Wow. Click HERE to download the FREE template. 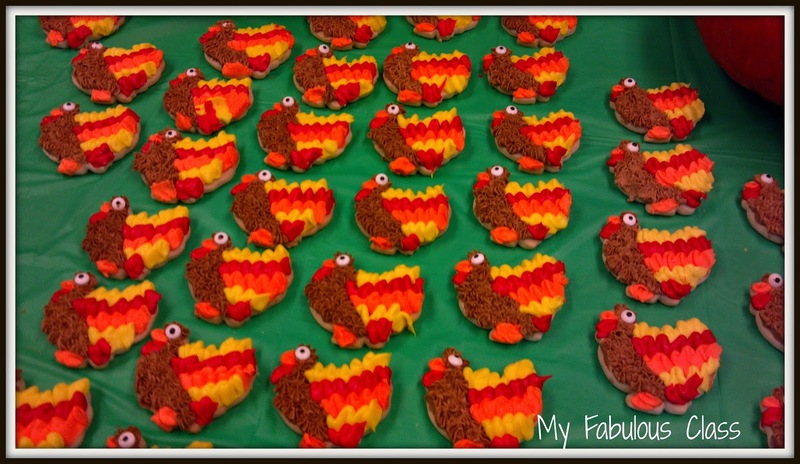 Finally, I had to share these adorable turkey cookies that our PTO President MADE for our luncheon yesterday. Aren't they adorable???? 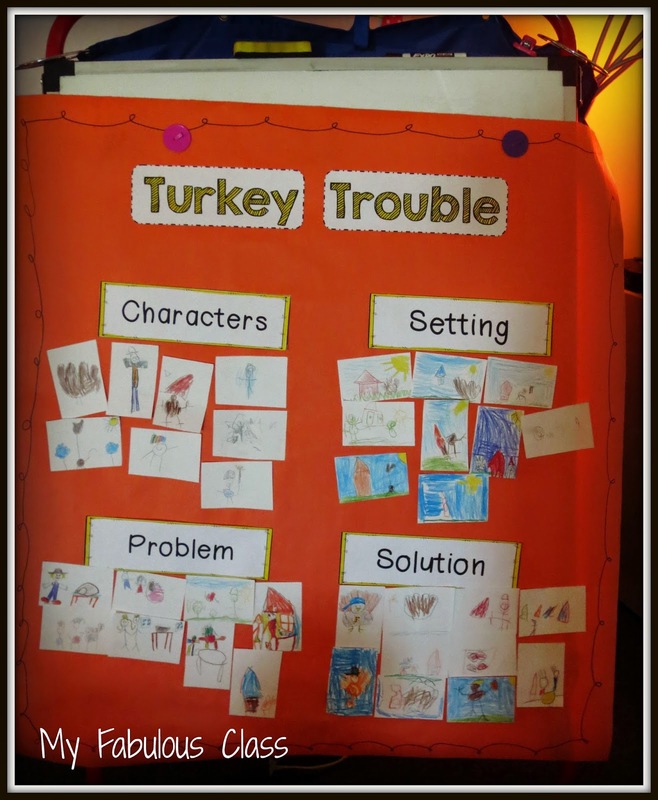 where can I find the items that go with Turkey Trouble? 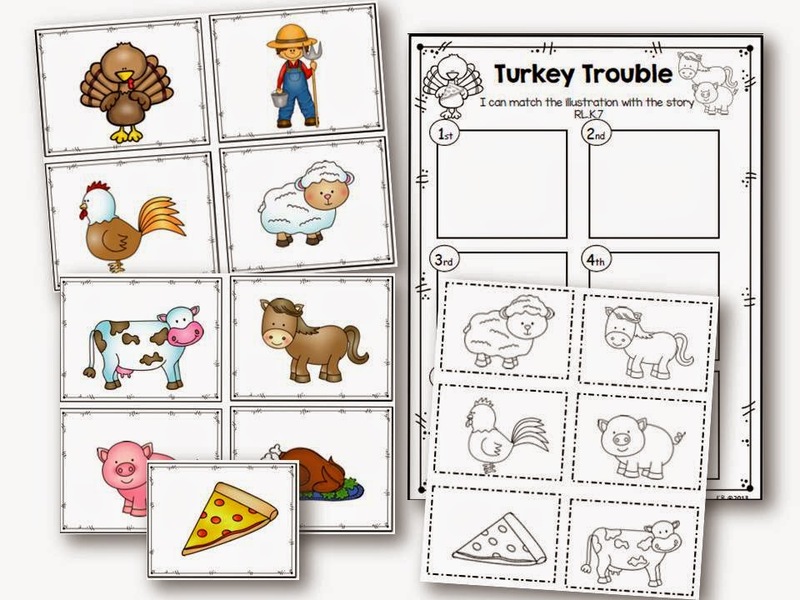 The retell cards and the character/setting/problem/solution pictures? 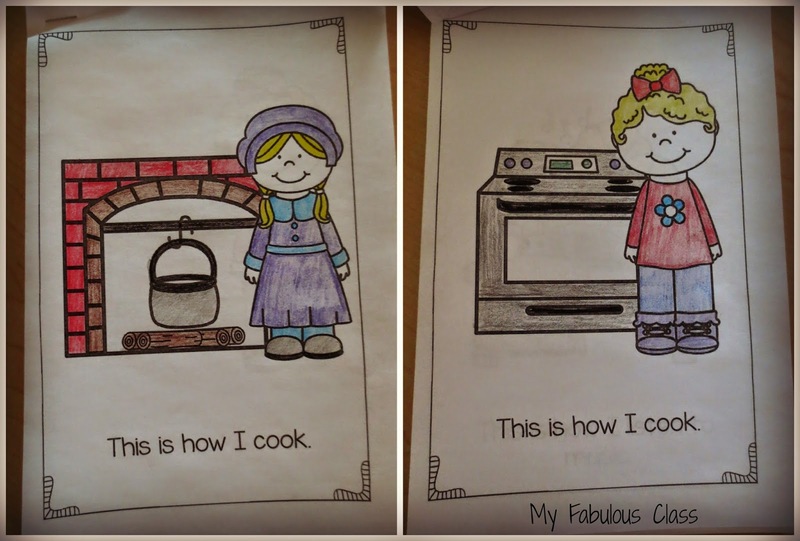 Where can I find the illustration match activity? I'd love to use it with my first graders!